Chavanel is a Baller. 2011 French Road Championship? He finished alone. Sylvain Chavanel used a 25km solo to take the French road race title on Sunday. 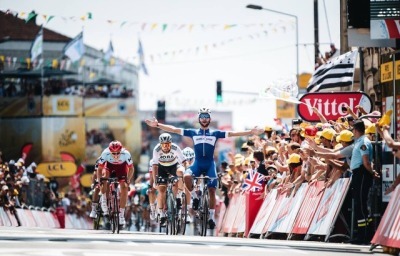 He had over half a minute on the chasing duo of Anthony Roux and Thomas Voeckler. Love the podium shot. This guy is going to look great in the Tour. 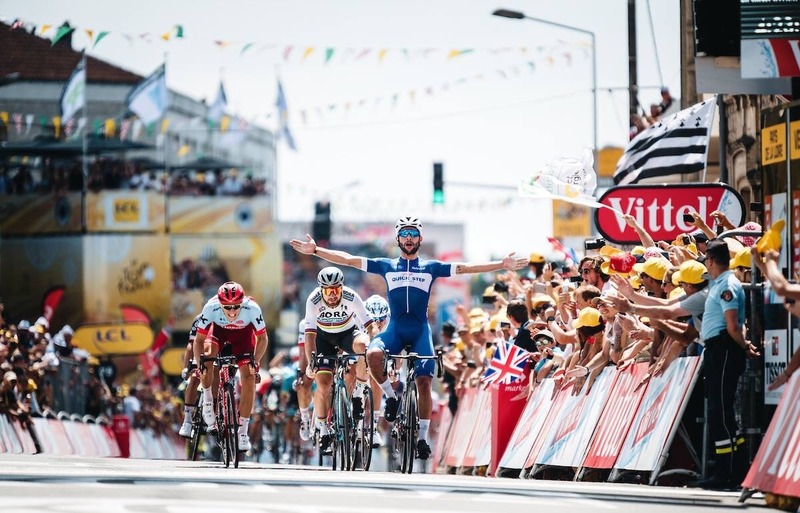 Too early to call him for a stage win? 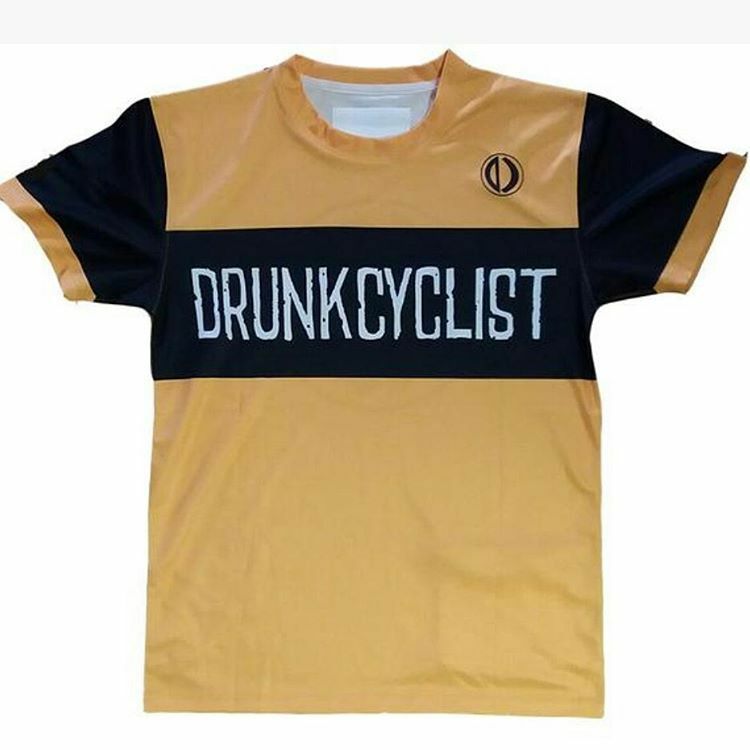 This entry was posted in Cycling, Racing, Straight Baller and tagged Baller, French Road Championship, Sylvain Chavanel, tour de france, Winning alone by big jonny. Bookmark the permalink. 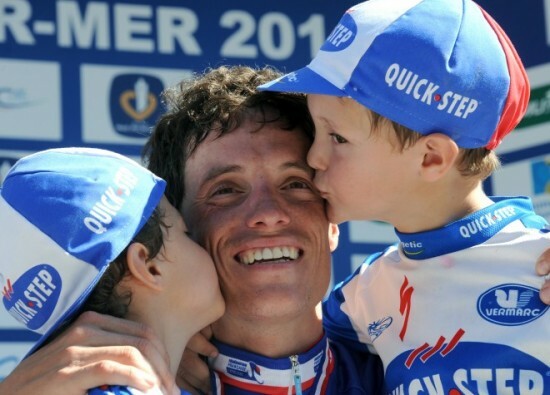 Gotta love seeing Chavanel win that, especially after his team’s tactics screwed him out of his chance to win Flanders. chava is great. he was the strongman at flanders this year, but that’s life 4 ya. He’s not the most clever among the peloton and often pained me with his stupid attacks in the past. 2011 “tricolore jersey” is the same kind of popular french champions such as Virenque & Moreau. Quick-Step’s Sylvain Chavanel’s new French Champion jersey. Nothing amazing is to be expected from Mimo. I’m more interested in Gilbert’s belgium champion’s one. He recently said the omega pharma jersey was one of the ugliest he ever saw.